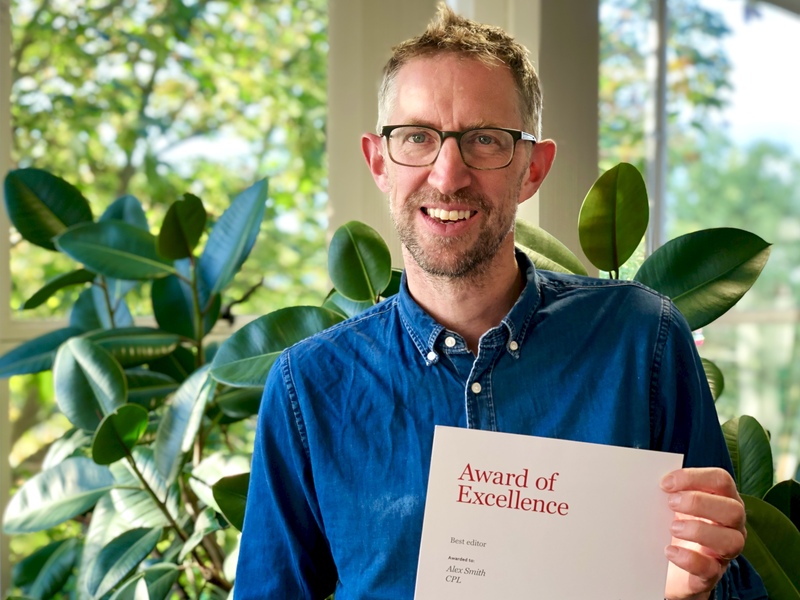 CPL’s Alex Smith won an Award of Excellence at the Institute of Internal Communication (IoIC) 2018 National Awards. Alex received the accolade in the Best Editor category for his work on CIBSE Journal, the print and digital magazine for members of the Chartered Institution of Building Services Engineers. The publication has tackled some major issues in the past 12 months, including the implications for the industry of the Grenfell Tower fire and the continuing need to improve the air quality and energy performance of the world’s buildings. The magazine also champions CIBSE’s strategy to promote inclusiveness and diversity in building services. Alex, who has been in the role since 2012, was delighted with the recognition. ‘Liza Young [deputy editor] and I are really proud of how valued the magazine is among its readership, and we have worked closely with the team at CIBSE to ensure it continues to develop.